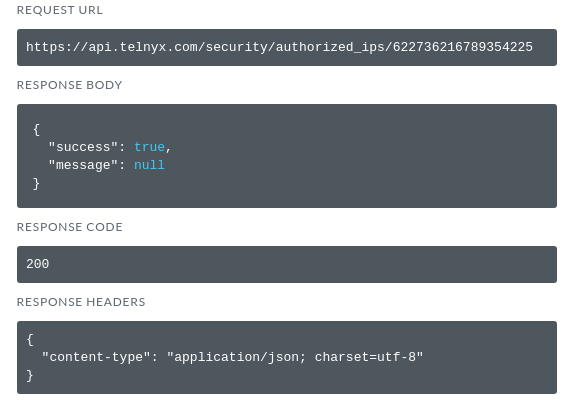 This endpoint returns the authorized IPs associated with your account connections. There are 2 parameters, simply fill these in with the amount of pages you would like returned & the amount of result per page. Once you've done that, hit "Try It Out". You will recieve a JSON response similar to the above with the details of all the Authorized IPs associated with you connections. 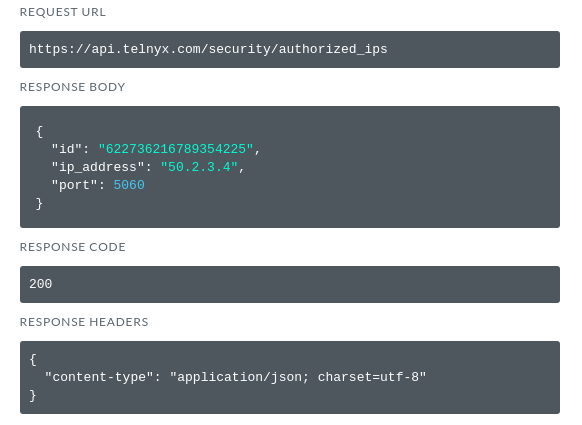 We can use the create a new Authorized IP endpoint to add a new Authorized IP to one of our IP connections. 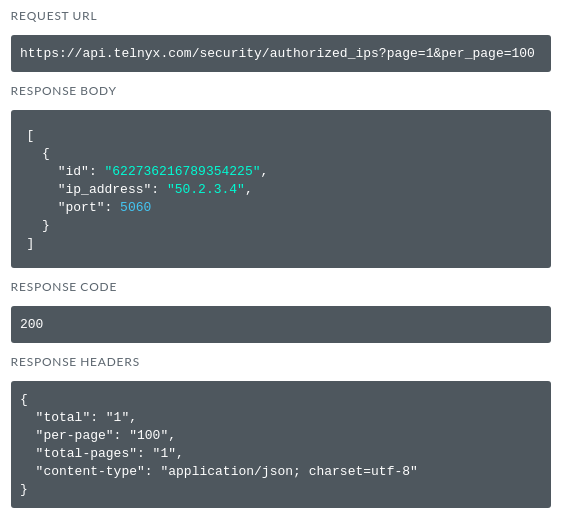 If we navigate to the endpoint there will be an example of the JSON body on the right hand side. Click this to copy it into your parameters box. The fields "connection_id" and "ip_address" are mandatory. Edit your message body with your new Authorized IP details. We can use the delete an Authorized IP endpoint to delete an Authorized IP from one of our connections. In order to delete the Authorized IP, we will need to pass the address ID as the parameter. 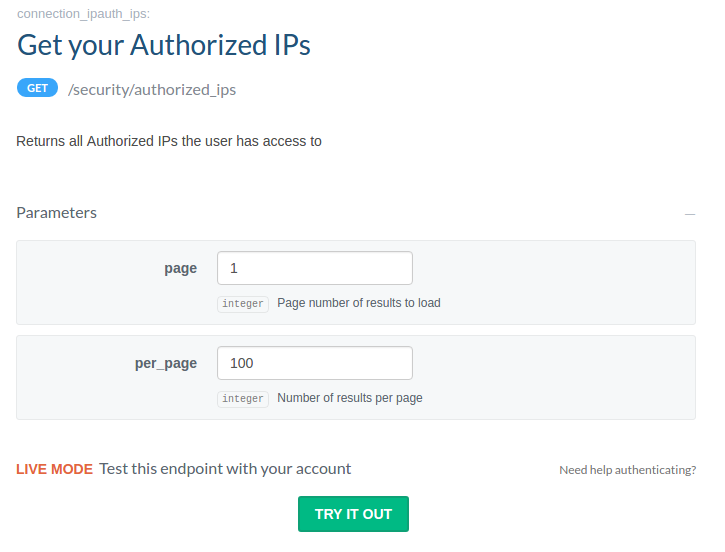 If you do not have your Authorized IP ID, you can acquire it by using the "Get your Authorized IP" endpoint above. Once you have you ID, enter it into the "id" box and click "TRY IT NOW". You will get a response similar to the one below letting you know if you request was successful or not. 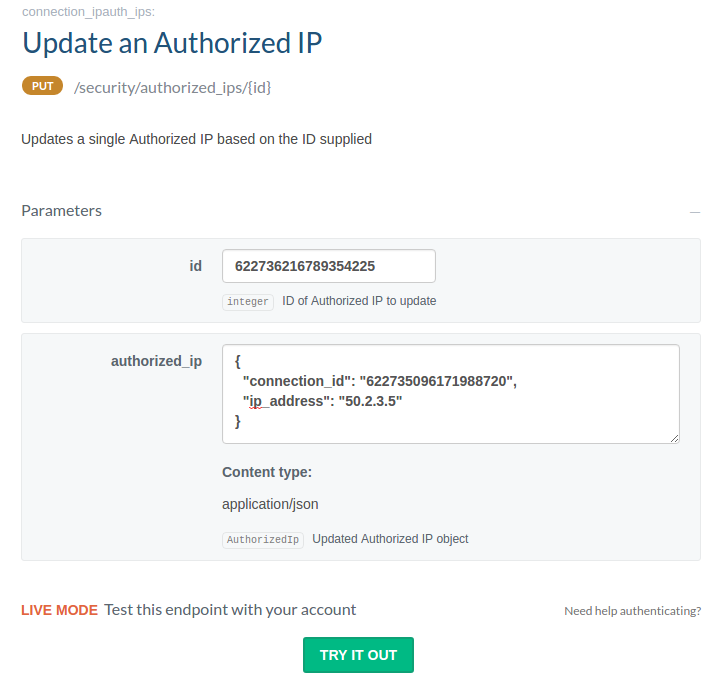 The update an Authorized IP endpoint allows you to change the details of an existing Authorized IP on one of your connections. 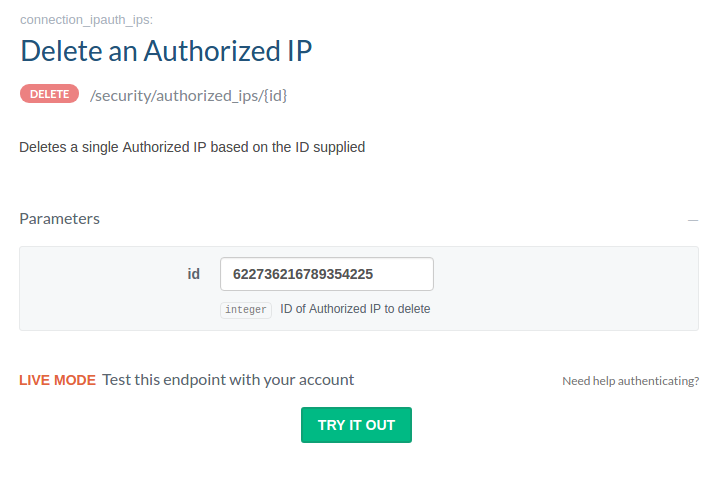 Firstly enter the "id" of the Authorized IP you want to update in the "id" parameter box. 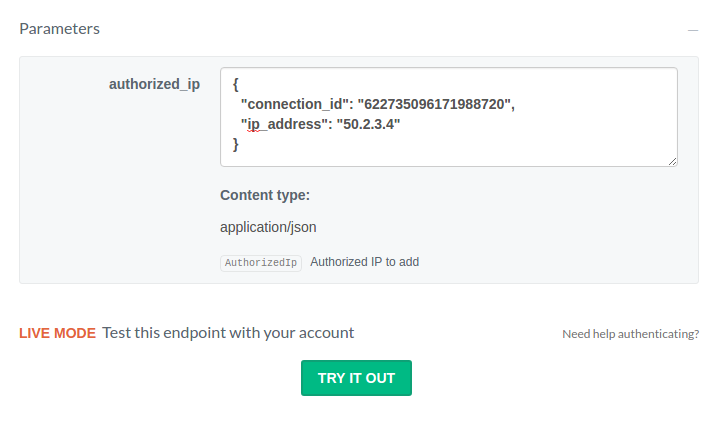 Next, prepare the JSON message body for the authorized_ip parameter with the updated Authorized IP information. When you are ready, click "TRY IT OUT".